Award-winning technologies offer the most advanced protection from all online threats – viruses, spyware, Trojans, rootkits, spam, hackers and more. Also proactively seeks out suspicious activity, eliminating emerging threats before they can cause any harm. We use Kaspersky on our systems. When you purchase, it come with 3-user license - we have it on both desktops & laptop. Couldn't be happier. Before Installing Kaspersky Security, I was always having little glitchy issues that would get though three of my already installed "anti" programs. I'd have to run a separate scan or do a system restore to fix it. Before installing Kaspersky, I had a new operating system installed. Started on a fresh system, but you don't have to do that. It says you can install on a severely infected PC and it will clean up your system. I love Kaspersky - I have had no problems since I've started using it. It's such a relief & was as simple as inserting a disk to install. Smooth sailing. Makes a nice gift for a new computer owner, computer enthusiast, or someone who has computer problems. 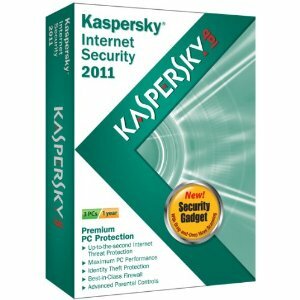 *Follow me @jamaise at Twitter & Tweet this : RT @jamaise #GIVEAWAY #WIN -A copy of Kaspersky~Internet Security 2011 for 3 computers! #holidaygiftguide http://bit.ly/dnnXBV Ends 11/28 tweet each day for one entry each ! Kaspersky has such great reviews for their protection. I need that for my computers. I just had the geek come for a computer issue no one could fix over the phone. He told me he ran Kaspersky. The reviews seem to back up his opinion. It sounds like better protection than what I have used in the past. The ones I've tried seem to always miss a really nasty virus and there goes my computer! I'd like to win this b/c all the reviews seem strong and b/c I am terrified of losing my computer! I follow on GFC and I really need some Better Protection on my social networks!..